To make up for the lost leisure time in our recent Pagudpod trip, we decided to continue our water adventure this time at Splash Island. Some few weeks ago, I treated my recently graduated siblings and cousin to some good Splash Island adventure, the largest water park in the Philippines. With help from Ebay's kuponan, I was able to secure tickets between 50-70% discount! Hurray to Ebay and Splash Island for that budget friendly summer gift. Regular tickets cost about Php500 but I was able to buy a ticket worth Php250 including bbq meal for me and 3 student tickets worth Php150 only! True enough, nothing compares to the thrill of finding a steal :) I told my friend MC regarding Ebay's uber low offer and secured her tickets as well. Splash Island is just a swift 20 minute ride from our house but surprisingly, it's my first time to see the place! Trying to avoid a heavy crowd, we went there on a weekday and wholla, 24 buses all filled with Jollibee employees and their families welcomed us at the entrance. I got a bit upset but there's nothing much we can do. 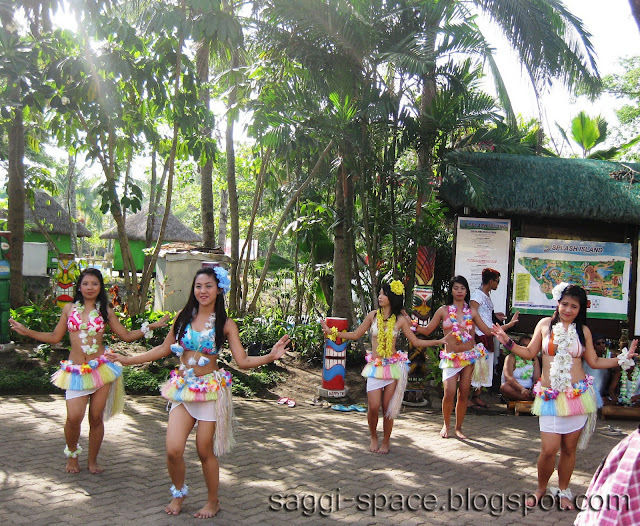 Then the initial dismay was instantly changed to excitement as we were greeted by groups of Polynesian dancers. Before trying to look for a cool spot to stay, we secured our valuables at their locker area (Php100 fee per locker). MC tied the keychain into her right arm throughout the day making it much easier for us getting and putting our things back and forth. Luckily, we were able to get a long table near Agos Grandes as most of the tables were already occupied by Jollibee employees, ugh! These tables are free but they also have open and airconditioned huts that are priced Php500-Php600/day. Immediately after applying the much needed sunblock, we dipped ourselves to the Balsa River (schedule: 8am-5pm) since it's the first attraction to open. It's good for those chilax moments where you just basically put yourself on top of a balsa and let the water current control your flow. After the gentle drift, we armed ourselves for our first real ride of the day - the Tausug Trails. This attraction schedules to open between 10:30am-12pm and 2:30-3:30pm. Before going up the stairs, you need to bring with you the rubber balsa that seats 2 people. We lined up just to get these balsas and carried them all the way to the top! Whew, stress! We took off from the left side and I partnered with MC's mom. It was a fun enjoyable ride, nothing really scary but there's still the adrenaline rush. It's a good thrill ride even for adults who are scared to try other rides. I rode on the Tausug Trails twice with my youngest sister on the second attempt. Afterwards we braved the waves of Agos Grandes. And since there were crowds of swimmers everywhere, it was crazy fun with those in the middle part of the giant pool having the time of their life laughing and splashing those riding the zipline crossing the Harbor and Agos Grande. Of course there are the big waves that we find it difficult to get into the 3ft, imagine that's just 3ft! Also with the sand to warm your feet, it definitely felt like swimming in the beach! Plus the music played by a live band really gave that outdoor summery feel, totally love it, pool party it is! 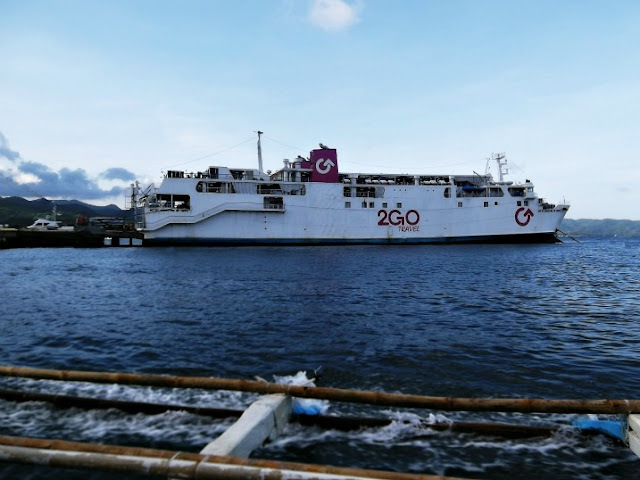 The waves in Agos Grande can be enjoyed between 9am-10:30am, 1:30pm-2:30pm and 4:30-5pm. Big Bam Boo is a covered tunnel that slides straight to the pool, made me remember my Jungle Log Jam Ride at Enchanted Kingdom where it felt like my soul dived much faster than my body! Big Bam Boo is open between 10:30am-12pm and 2-30pm-3:30pm. After that quick scary drop, we walked straight to the most famous and highest solo ride in Splash Island, the Magellan's Drop. I was so damn scared at first, the look of having to drop face first really gave me the cringe. However, when I started going down, it actually felt fun! I truly enjoyed the slide. I just didn't realize beforehand the splashes to hit my face while going down for I was wearing my contacts then. Thankfully they never left my eyes, lol! Magellan's Drop is open between 12pm-1:30pm and 3:30pm-4:30pm. Then off to our next ride, the Rio Montañosa. However, we delayed the ride upon seeing the long queue so we decided to have a short merienda instead! :) Prior to the change of management, there were the big players like Jollibee and Kenny Rogers but now grilled Bbq meals can be seen almost anywhere. The Fiesta sa Pulo houses Tiki Island Grill, Sizzlers, Mongolian Buffett and other stalls where you can buy siomai, nachos, ice scramble, Purefood hotdog sandwiches etc. After a short stroll and some few dips in Agos Grandes and Balsa River, we headed back to our much anticipated ride, the Rio Montañosa. Since it was nearing past 4pm, getting in line was a breeze, literally and figuratively as there were just 3 groups ahead of us and getting on top literally gave us that chill from the cold air breeze! And so 5 of us braved the heights and the spin, the ride was something both families and barkada thrill seekers can truly enjoy. Tawa lang kami ng tawa pero nahilo pa din ako after! Then back for the second round! May 3rd round pa sana since wala naman ng line pero we have to stop as we needed to change since we asked to be fetch at exactly 6pm. Rio Montañosa is open between 12pm-1:30pm and 3:30pm-4:30pm. There were a couple of rides and attraction I didn't try like the Water Wahoo and Curl of the Orient since they're intended for kids and the King Pilipit dahil feeling ko mahihilo lang ako dun, lol! My siblings enjoyed King Pilipit the best but also said Big Bam Boo was the scariest - I couldn't agree more! The only thing we didn't like about Splash Island was the little flow of water in the shower area, probably because it's near closing time, but I'm not sure. The sunset provided a dramatic backdrop in Agos Grandes as the Polynesian dancers swing their body to the beat for the last time. We left Splash Island with an unforgettable wet and wild experience. The red sunburn it left me was definitely worth it, haha! Thank you Splash Island, the smile and grin I had on my face was such a precious souvenir. Memorable talaga mga rides niyo! 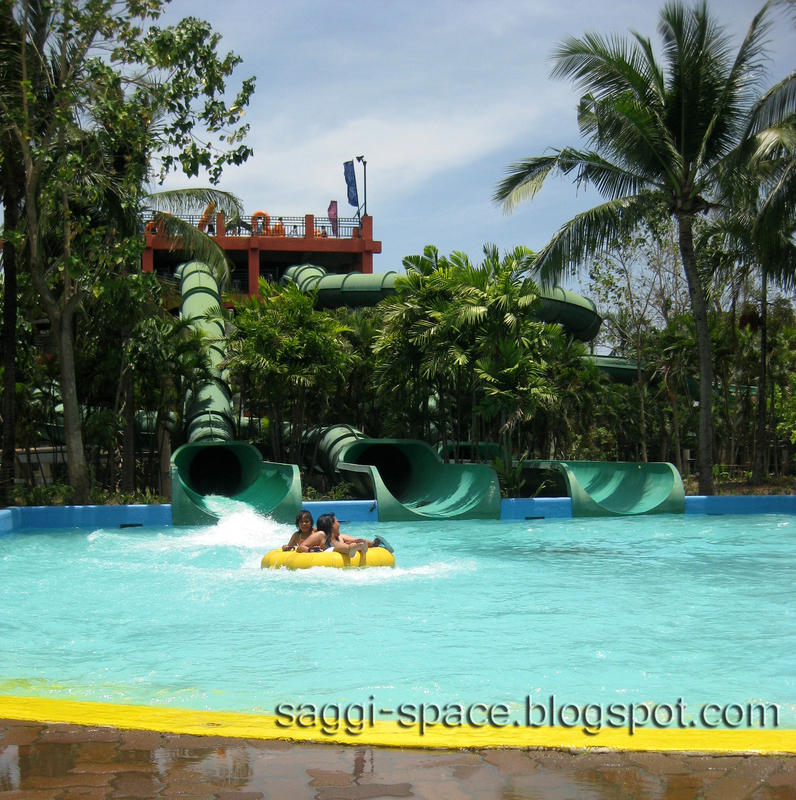 Splash Island is located at Southwoods Ecocentrum in Binan, Laguna and opens at 8am-6pm. I've never been there myself, but since it's summer , I'm now thinking of making the trip with the apos. Thanks for sharing. Congrats sa siblings mo at cousin. 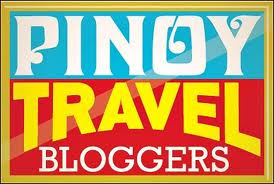 never been here too, pero yung mga pamangkin ko, theyre all dying to go here! naway matupad ko ang wishes nila! 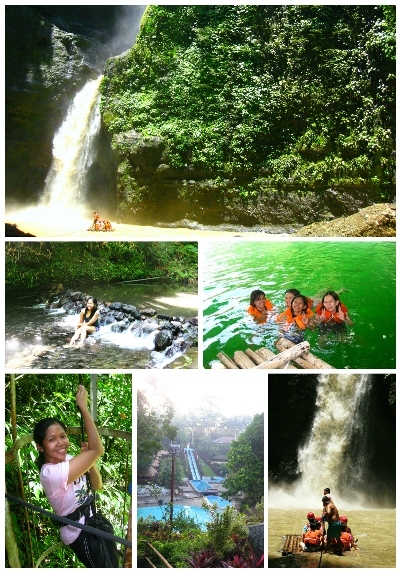 =) ansaya nga ng slide! 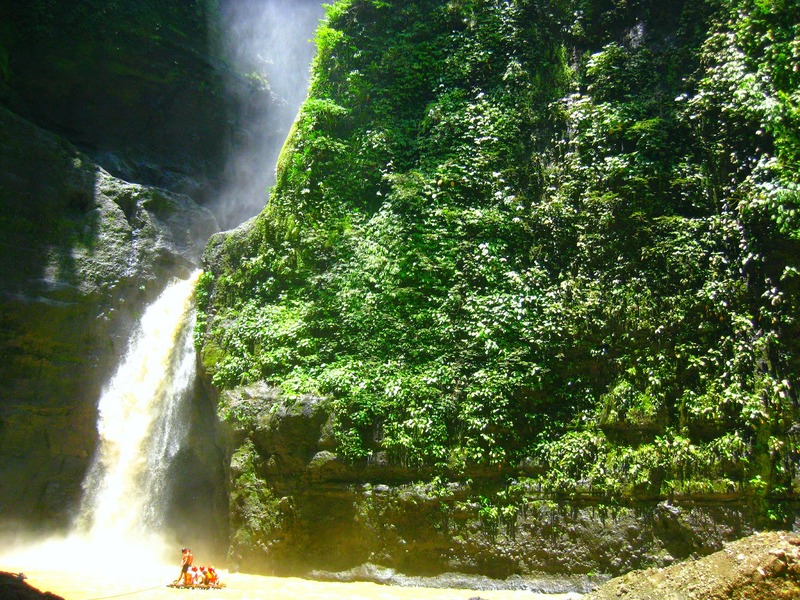 still one of the most popular summer destinations near Manila! astig ang mga polynesian dancers!